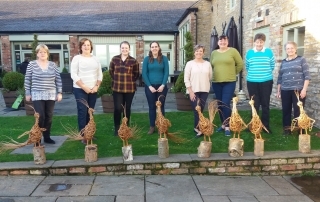 It was lovely to return to Drewton's on Saturday to work with a lovely group making pheasants. 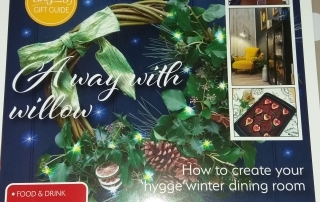 Fantastic results. I'm looking forward to returning again in February 2018. A lovely first workshop at Rawcliffe Village Hall. 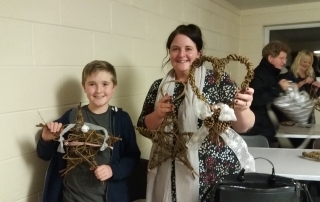 Thoroughly enjoyed working with the group making willow stars and hearts. I'm looking forward to returning next week. 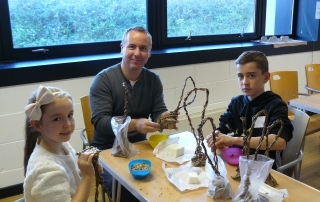 Had a super day working with a lovely group of children in the half term holidays, making lots of willow birdfeeders, then getting messy mixing the lard and bird seed! Lots of messy fun. 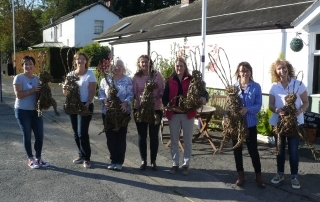 What an enjoyable day was had by all, creating willow pigs on 13th October. We all had so much fun. Take a look at the finished pigs. You were all amazing. Thank you! We had a lovely day selling at Hovingham Farmers Market on Saturday with my little assistant. 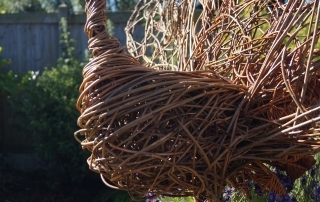 We are looking forward to returning in November with the pre-ordered willow sculptures and willow Christmas present ideas. Hoping the rain and wind stays away in November! Worked with a fabulous group of people at The Old Ticket Office, North Ferriby, yesterday. Tah dah! 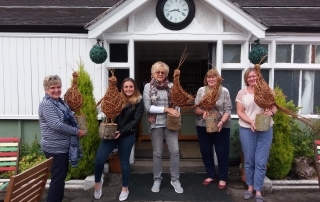 They all did a fabulous job weaving their willow pheasants. Great company and fabulous food. Willow Hares at Waters’ Edge Visitors Centre. 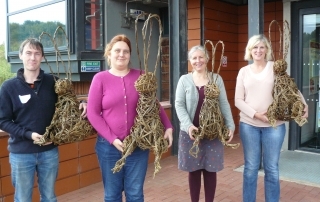 Yesterday, I worked with an amazing group of people, who quickly picked up the art of willow weaving and created these amazing willow hares. 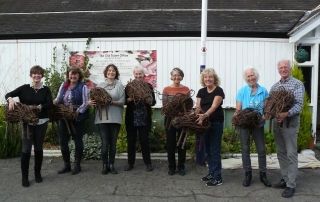 A fantastic, fun day at my first workshop at Waters' Edge Visitors Centre. Looking forward to returning in October.